Traditional style African tribal male costume for hire. Ideal costume for an International or Jungle themed party. 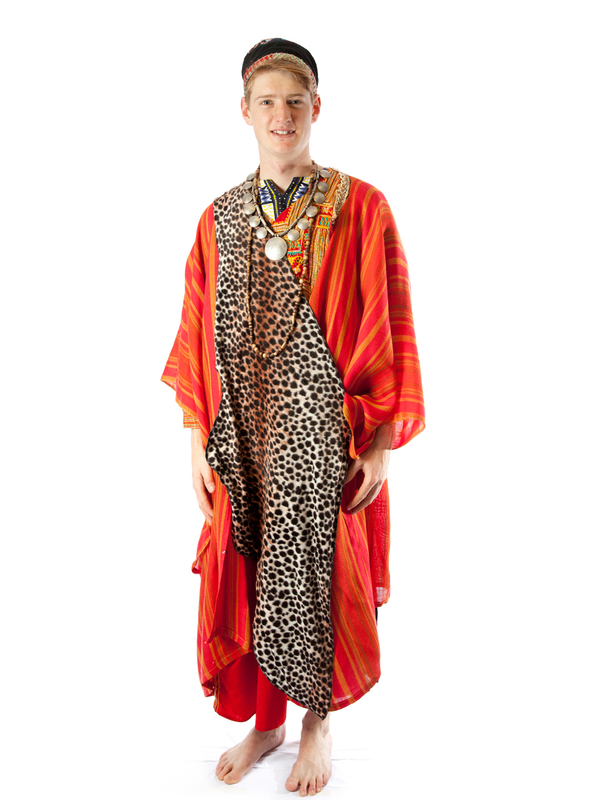 Costume consists of Traditional style robes, necklace, animal skin drape and optional African hat.